Oh no! Lemon lentil soup certainly sounds delicious :) My sweet girl, she is a good eater this one! 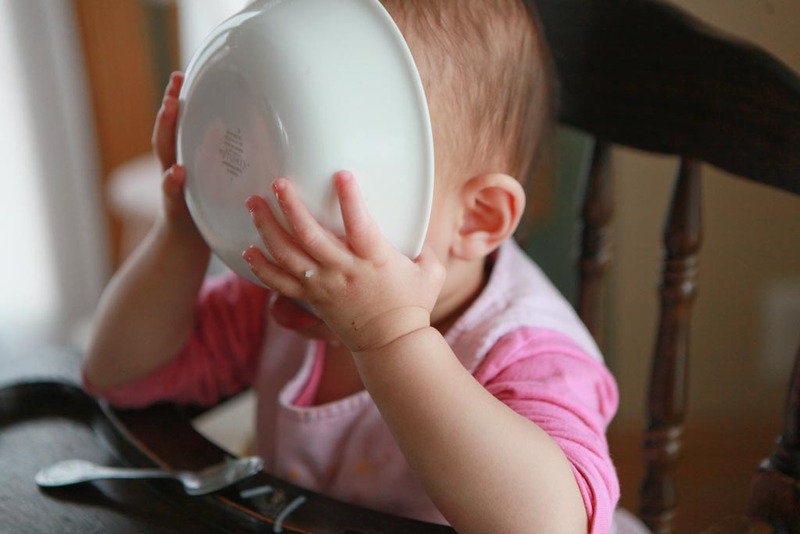 Ok either that soup was really delicious or you are teaching her how to play peek-a-boo ... LOL. Adorable picture. You are definitely doing something right! Oh, LOVE it. So dear. Very cute...and like the others, I want to know what kind of soup! Oh what an absolutely glorious snapshot! And yes, must have been very good indeed! That is such a wonderful photograph!!! And YES we need that recipe! I'll work on the recipe for you in case you want to give it a try! Too cute! Way easier than eating with a spoon! And it's definitely soup weather. I'm thinking of a batch of something for today. That must have been a good feeling for you - appreciation for your efforts in the kitchen - nothing better! What a gorgeous pic...i would love it if my girls would eat soup! !Love to see her enjoying her food!!! ramona is quite the picky eater so when she gobbled up our slow-cooked pork and beans and rice last night i just about died. it was adorable.